Are you that student who is looking for a student job in sales? Do you follow what’s happening on the catwalks, on social media and on the high street although you should be busy studying? Would you like to share your passion for fashion and lingerie with our customers & your fellow students? Then we are looking for you! Would you like to see more Student Jobs? 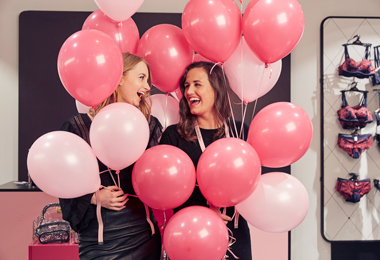 At Hunkemöller, we’re obsessed with lingerie and fashion. We devote ourselves to following trends so we can bring our customer the latest looks. If you’ve worked in fashion or retail before that’s great but if not, we’ll teach you everything you need to know. We’ll show you how to deliver, what we believe is, World Class Service so our customer will have an amazing and unrivalled experience. You’ll be so passionate about delivering the ultimate customer experience that even if the store is quiet, you’ll keep yourself busy by making sure everything looks great and you’re ready to advise and inspire the next customer. In order to land this great student side job, you’ll have a friendly and inquisitive nature. Our temps are great listeners and use what they hear to make sure every customer leaves happy. At Hunkemöller, we’re focused on delivering great results so you’ll need to share our ‘winning mind set’ and be determined to shine.